Welcome toThe Practice of Matthew D. Barber, M.D. If you are struggling with physical pain in your knees or hips, there is no reason to continue struggling alone. Far too often, people attempt to deal with the pain on their own by using over-the-counter painkillers. These will only mask the symptoms and provide temporary relief from the pain. Without professional treatment, the condition will continue to get worse. With efficient non-surgical and surgical treatment options, our team at the practice of Matthew D. Barber, M.D. strives to provide you the professional care you need to recover. Due to the large variety of conditions people can suffer from, it is important to seek professional treatment. We will customize the treatment to your needs so you can have another chance at life without the pain that gets in the way. From the moment patients walk in the door to any follow-up appointments, we provide quality and efficient care. 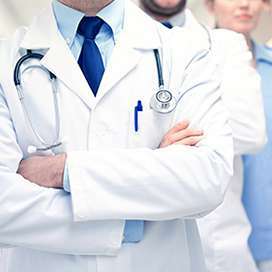 We take the time to listen to the patient’s concerns before customizing the treatment to each patient’s unique needs. We understand how difficult it can be to deal with reoccurring knee or hip pain that does not seem to go away without professional treatment. Some of our patients even find it difficult to sit without feeling pain. Our team will take the time to review the steps for the entire treatment process before starting. We will also go over the follow-up plan for after the procedure and what the patient will need to do to promote recovery. Contrary to what some people might believe, there are a large variety of surgical and non-surgical procedures for treating knee pain. In order to treat many of these issues, our services include orthopedic care, orthopedic surgery, hip replacement, knee replacement, outpatient knee surgery, non-surgical knee treatment, non-surgical hip treatment, surgical hip treatment and more. We can schedule follow-up appointments as necessary in order to check that everything is healing properly. Since each patient is different, the length of time for the recovery process can vary. We also provide patellar resurfacing, pelvic implants, femur implants, robotic hip replacement, revision hip surgery, partial knee replacement and robotic knee surgery. The first step is to schedule an appointment. To begin the treatment process for a new patient, we will need them to fill out a “New Patient Information Form.” This form includes the patient’s medical history, current condition, allergies and any other pertinent information. By gathering this information, we can customize the treatment to the needs of the individual. We can also explore past treatment options from other locations that failed and develop another method that may be effective. Patients will also be able to ask any questions throughout this process. Our goal is to help them heal and continue living life without the pain that brought them to our practice.